Monday 22nd of December 2014 and it is time for yet another VISA run. And I have been waiting until the last minute hoping for them to have jeeps for me at the tiger safaris in India. No jeeps available, not like in Africa where the room came with a seat in a jeeps. 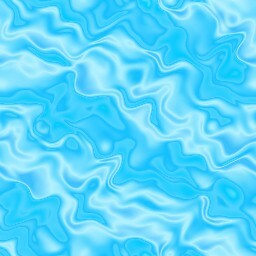 Of course, this is how it should be. For sure, I'm not going to the middle of nowhere in India to do nothing and a jeep is of course necessary as safari is the only thing to do in the areas. And Aladdin gives them 5 out of 5 Wasted 70 to 80 US dollars and a lot of time to get my VISA to India. They are making it a hassle for me to come spend money and the safari was 7000 US plus pocket money. Money India will never see as I have decided not to go, ever! Well, I still want to see the tigers. And I want to use my safari uniforms again. I have also told Maersk that I could not come to work even though I wish I could go to work over Christmas and the New Year. So I decided to go to Laos over Christmas and New Year and as my VISA expiry on the 24th of December I need to do the VISA run before Christmas Eve. My plan was to leave on the 23rd of December. But I was forced to change the daye for the 22nd of December as the Shompoo Cruise to Huai Xai departed on the 23rd. So I had to change from Thai Airways to Lao Airlines as Thai didn't had a flight on the 22nd. I checked Bangkok Airways. 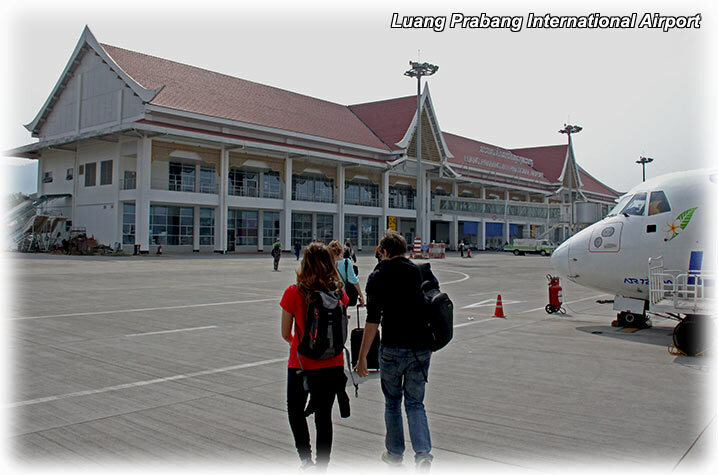 One way ticket from Bangkok to Luang Prabang and I booked the ticket for the 22nd. 6000 Baht something was OK and when I should pay the price had ballooned to almost 9000 Baht and I got at least to say upset. 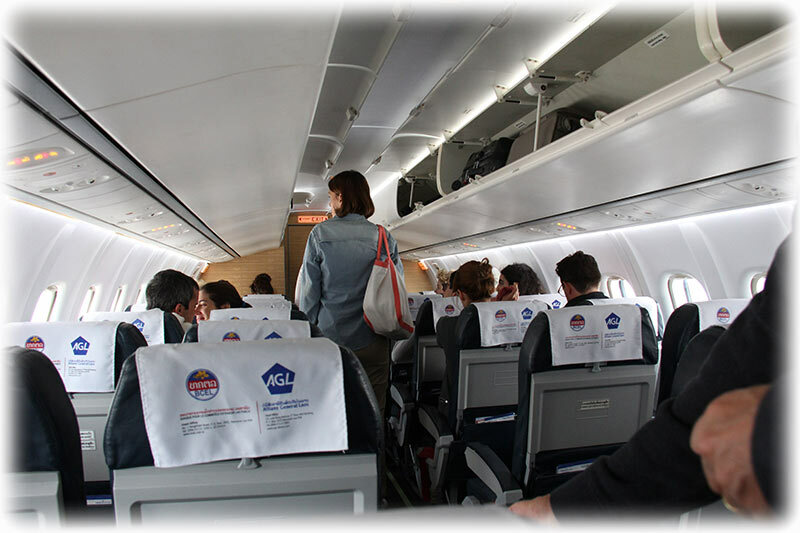 Bangkok Airways, never again and I decided to try Lao Airlines. They had a seat for me on their flight QV 634 and no additional fees, well, 23 US Dollars and that is OK. 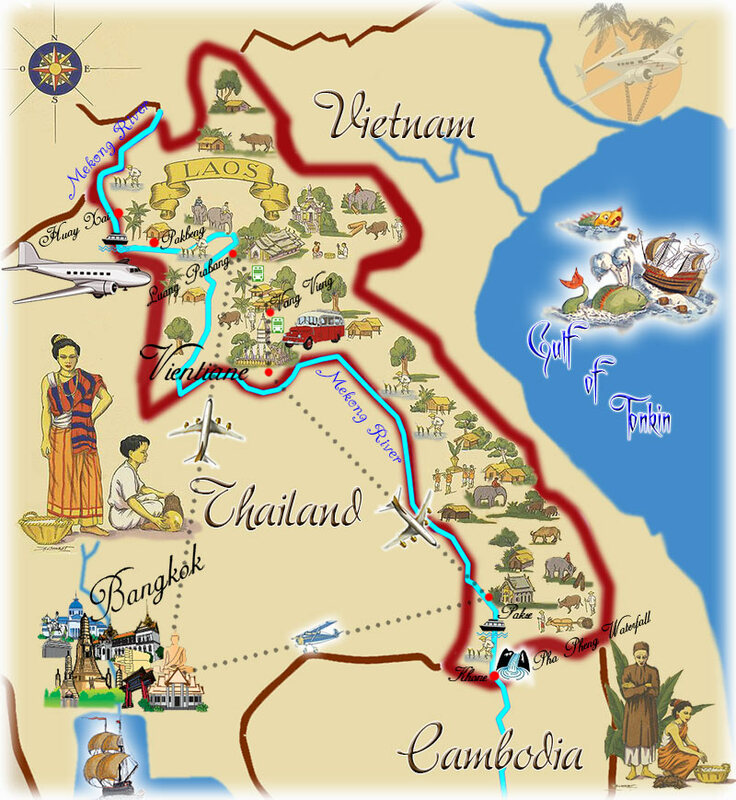 I had my cruise with Shompoo Cruises confirmed and I had a cruise with Mekong Cruises confirmed on the Mekong River in the South of Laos as well. They didn't had any of the “PREMIUM” accommodation available and they suggested a DP Guesthouse or something like that. I'm 1000 years old and a Guest house was nothing I was looking forward to. Shompoo Cruises didn't answer my e-mails for 2 days when I inquired about the accommodation in Huai Xai. 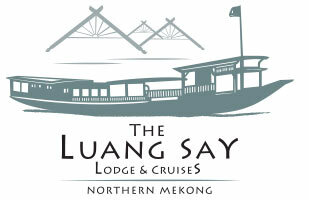 So I sent an e-mail to Mekong Cruises inquiry about their cruises in the North of Laos. And I was soon set up for 2 cruises with them, one in the North and one in the South. The cruise was 1000 US Dollars more expensive, but they provided a good service and prompt answers via e-mail. So now I'm set up for 2 cruises in Laos and I'm actually more excited than when I was planning for the tiger safari in India. Everything was falling to place, hotel was not easy to find. I searched agoda.com and hotels.com and I used 2 web pages as at one page there was no hotel for some location and vice versa. 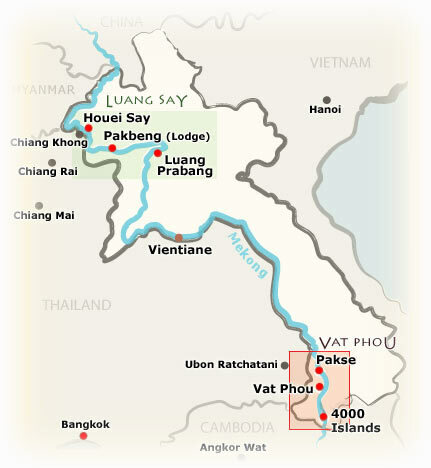 Vang Vien was hard, I was chocked, 8 US Dollars per night, for sure not a place I want to stay at. But I managed to find Riverside Garden Bungalows. And I also discovered that I had 200 US Dollars at agoda.com that I could use. I have changed to hotels.com and I have not used agoda for a very long time. But now I needed to use them and I discovered that I had 200 US Dollars’ worth of reward point. Yeah, happy foocking Christmas! Lao Airlines flight QV634 departs from Suvarnabhumi at 10:25. 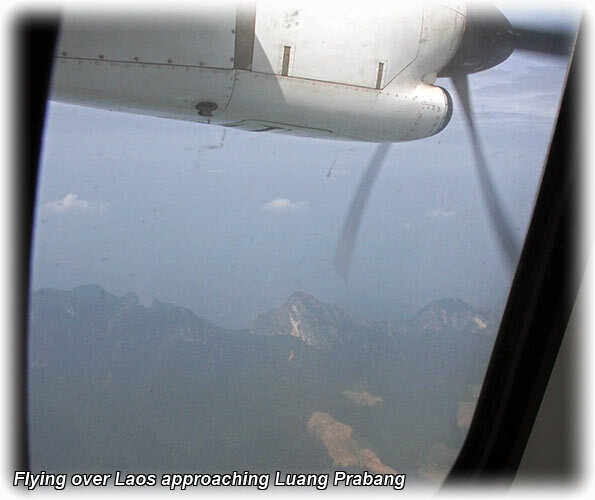 Arriving to Luang Prabang at 12:05. I will stay one night at the Luang Prabang Oasis - Villa Namnuea before leaving for the Luangsay Mekong cruise to Huai Xai covering the Mekong River in the North of Laos. So I had my alarm to go off at 5 o'clock in the morning, yes, I'm getting used to those 5 o'clock in the morning alarms by now. Same time as yesterday when I took off to Tha Chalom with Bangkok Photographers. Gives me time for a quick cuppa and smoked salmon before I pack the bag. 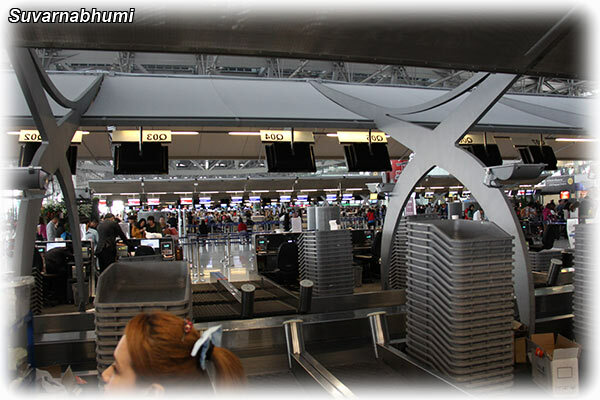 Then straight to Suvarnabhumi International. 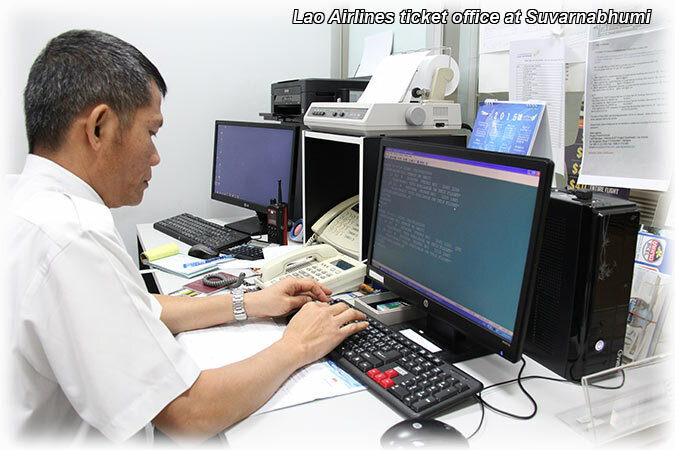 I have booked my tickets with Lao Airlines online: Bangkok - Luang Prabang - Vientiane - Pakse - Bangkok. But the tickets are not paid as I'm used to do when buying tickets online. So I want to get to the airport as early as possible to sort out the bill. 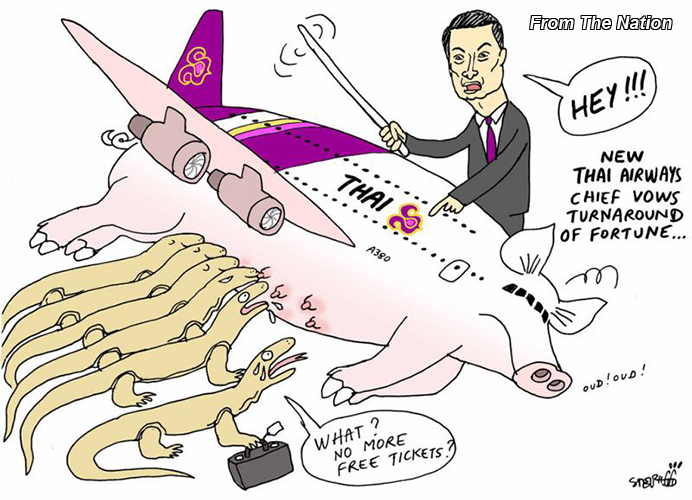 I wanted to fly with Thai Airways, they need all the support they can get. But now they didn't had a flights on the 22nd so Lao Airlines it is. 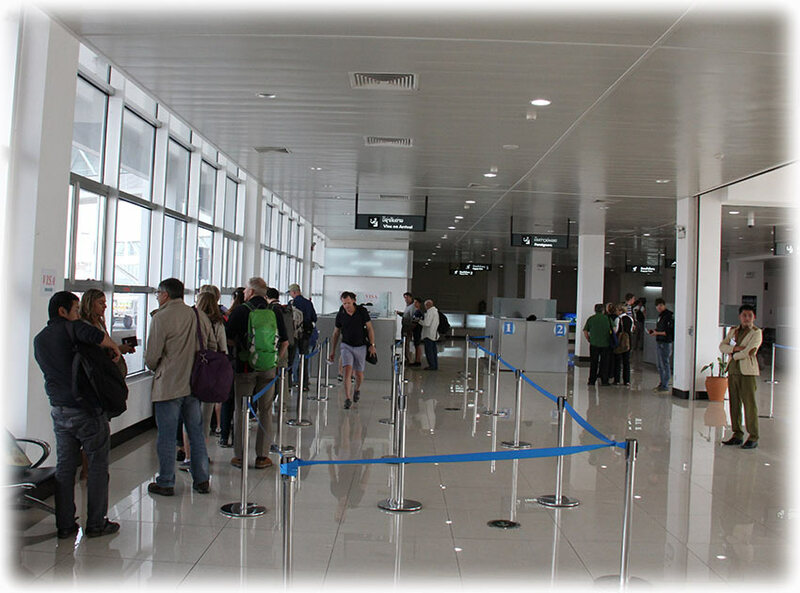 I have been flying with Lao Airlines before and they are very good, but why couldn't I pay for the ticket on line, always nice to have completed all transactions before leaving. Always feels good to have completed everything regarding payments in case I run in to trouble with the cards. Not the first time that would happen. I was about to forget my pin code and the worst, I was so close to forget the charger for my e-cigarette. Yeah, that would have been a dream come through. 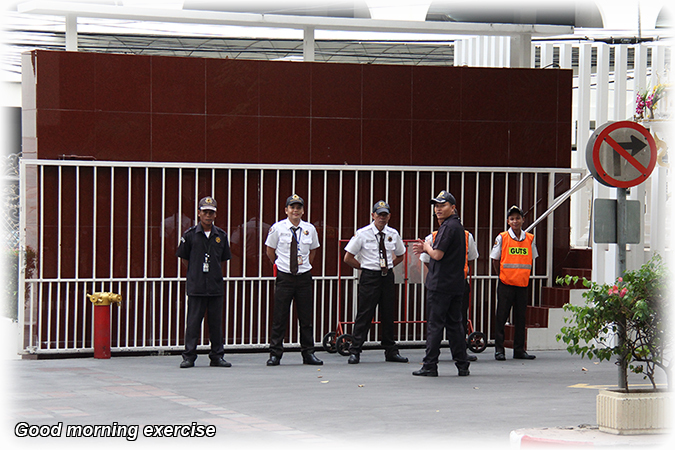 When I came down to the parking space the security guards held the Good Morning “PEP” meeting/ drill on the parking lot. One of them were soon on his way to arrange a taxi for me. We had a taxi passing and the head of the guards called the guy and told him we had a taxi. The taxi refused to use the meter and we called the security guy again and he was soon coming back with a taxi. We took off towards Suvarnabhumi and we reached the red light at the Asoke/ Sukhumvit intersection when the driver started to complain about traffic. We turned in on Sukhumvit driving towards the toll way on soi 1 when he turned off the meter and stopped at the road side. Aladdin exploded in the back seat. 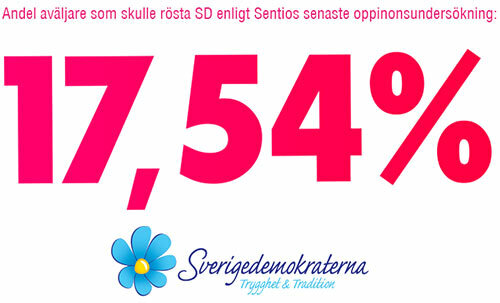 Seriously, how stupid can you be? He accept the ride and then he stop on Sukhumvit, change of mind. What a foocking nitwit! I'm on the way to a flight and he expect me to get out to start looking for a new taxi. But now Bangkok is going back in time. Haggling for the taxi fare and pre 1997 traffic jams. 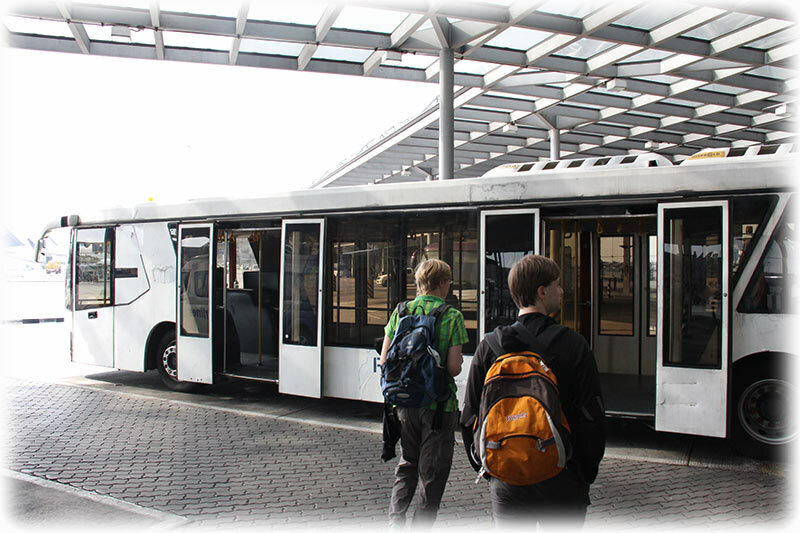 The taxi have become very bad the last few months and it is haggling more times than not. - Where can I pay the tickets? - You don't have any bookings! First the taxi, what the foock gave him the right to foock up my day? And now this, I have paid thousands of US dollars for cruises and hotels. And I made sure I had the air tickets before I did this. They told me that this web page had nothing to do with Lao Airlines. I was not in a good mood when they brought me to the ticket office. 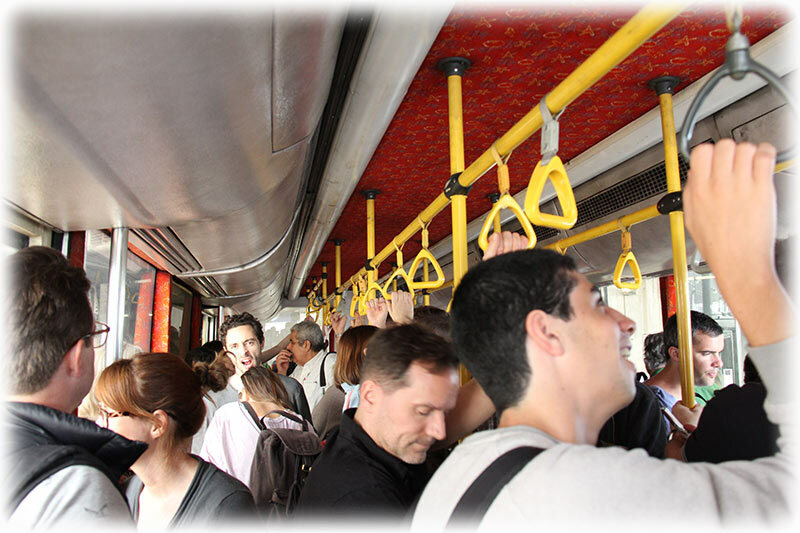 I was lucky, they had a seat and I booked all the tickets and it was cheaper than what I would have paid on the web page. They told me that this was a very common problem with the web page using the Lao Airlines logo so it looked like Lao Airlines web page. I asked them why they didn't did anything about it. Well, Lao Airlines web page is www.laoairlines.com and nothing else. The guy from the ticket office followed me to the ATM and I paid 14425 Baht and the ticker guy brought me back to the check-in. 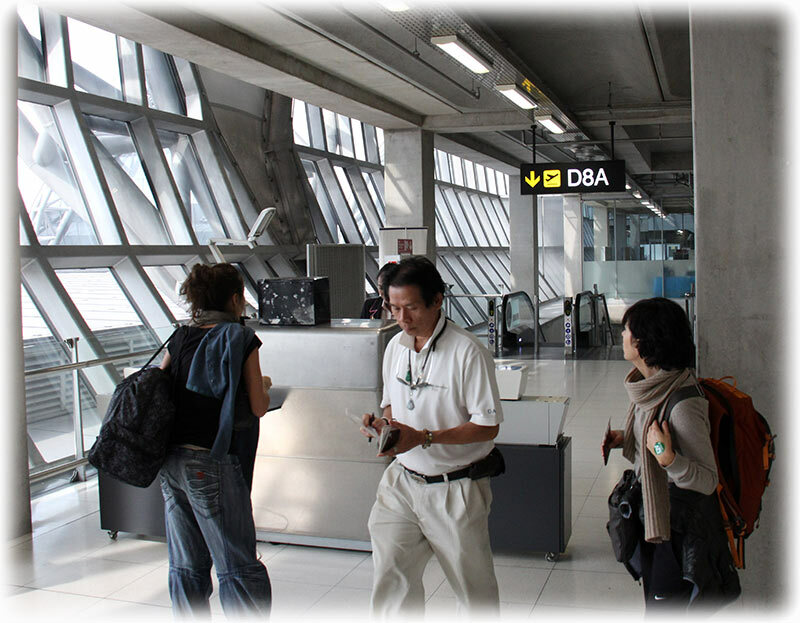 I was very satisfied with Lao Airlines ground staff/ ticket staff at Suvarnabhumi. I lost my temper a wee bit when they told me that I didn’t had any booking. 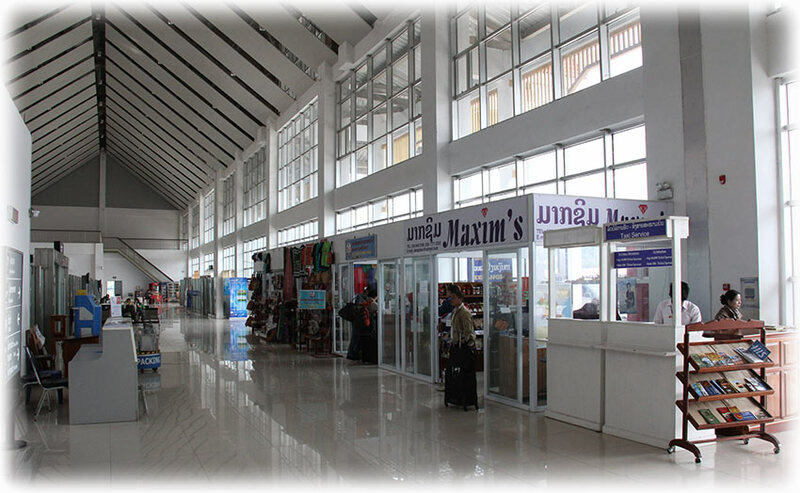 I had paid a lot of money for cruises and hotels around Laos so I really needed to get away. And I booked the tickets before booking hotel and cruises. I asked them to send the bill so I could pay for the flights but never any answers. So I thought I should do it last time, paying on the airport. The staff told me that I didn’t had any booking and I was a wee bit irritated. But your staff handled this situation excellent and I was a little embarrassed for being irritated in the beginning. 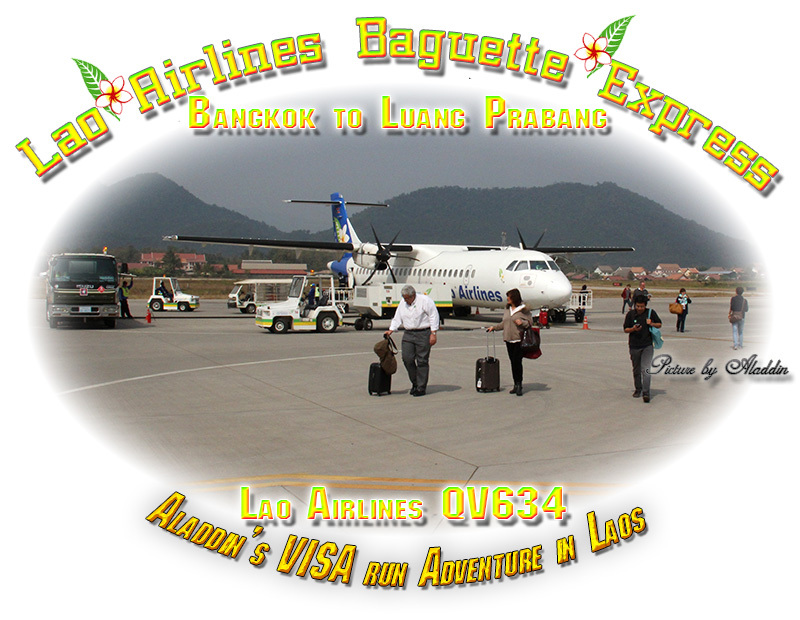 Airlines when I arrived to Luang Prabang. 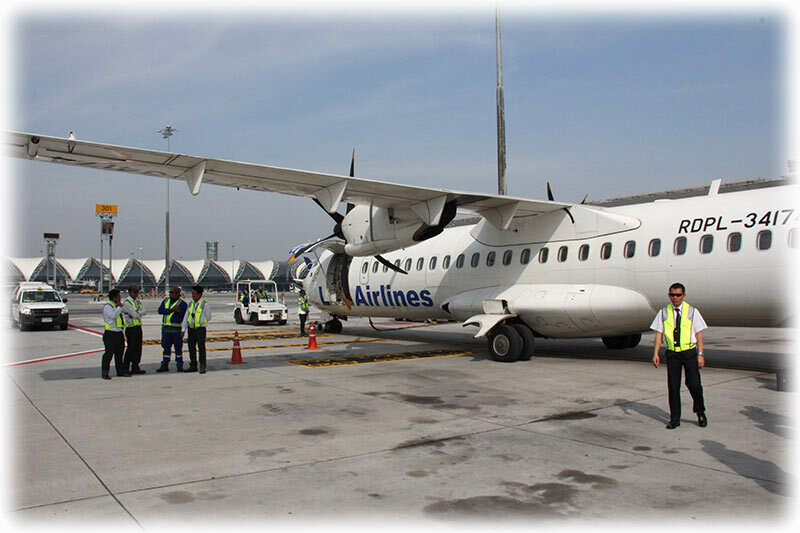 Last time I was flying with Lao Airlines the service was excellent and so it was today and I will for sure use them again, if I'm welcome back that is. Premium lane and the immigration and security check was pretty quick. And I was lucky that I hade left in good time. None of the times in my original booking was correct and the flight was earlier than I thought it would be. So I had time for a not so good breakfast at Suvarnabhumi before it was time to board the flight to Luang Prabang. 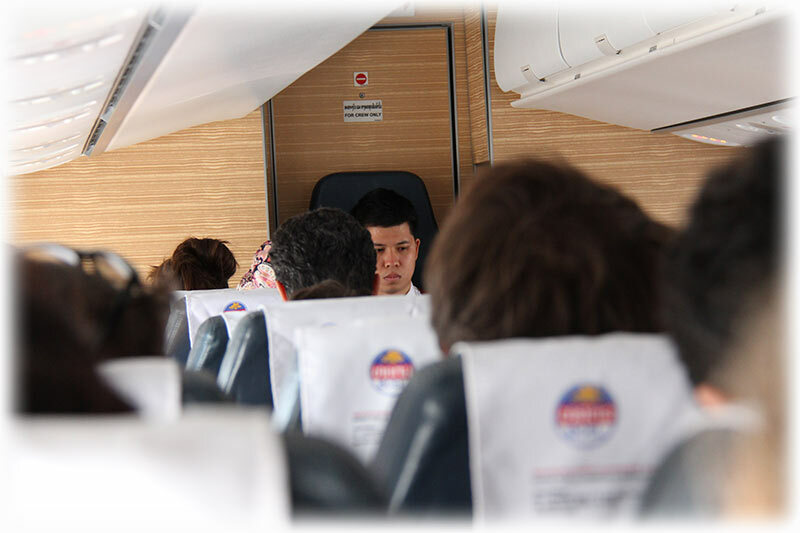 I had a bad taste in my mouth when I boarded the bus for Lao Airways Flight QV634. The restaurants on the departure levels leaves a wee bit to wish for, I had a cup of tea, OK And they managed to find me a big cup (Beer mug) The toast was OK but the German sausage was a disaster. But you need to go to a top notch restaurant if you want to eat good sausage in Thailand. Otherwise, the sausage can be very good but they deep fry them and that is not how to make sausages. 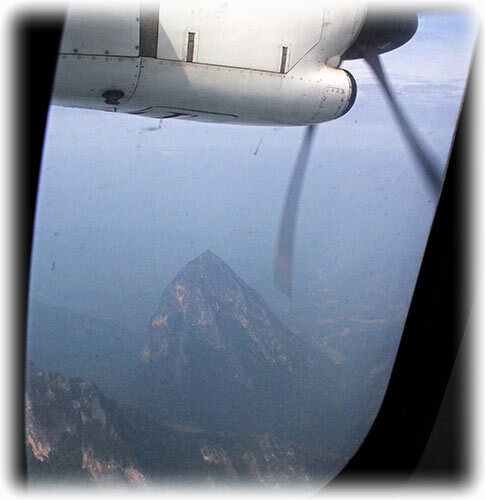 We were flying over a beautiful landscape with dense vegetation and mountains. And it looked like it was the real thing growing under us. Flying over Malaysia and you are soon to discover that it is palm oil plantations covering the whole country. We were flying over a city close to a river and I thought it was Luang Prabang but we were still a few minutes away from Luang Prabang. It had been a very nice flight, mostly thanks to Lao Airlines ground staff in Bangkok. They blocked the seat next to me and I was alone sleeping like there was no tomorrow. Of course, it was a one hour 40 minutes flight and I'm pretty sure it would have been a different tune after a 12 hour killer flight. 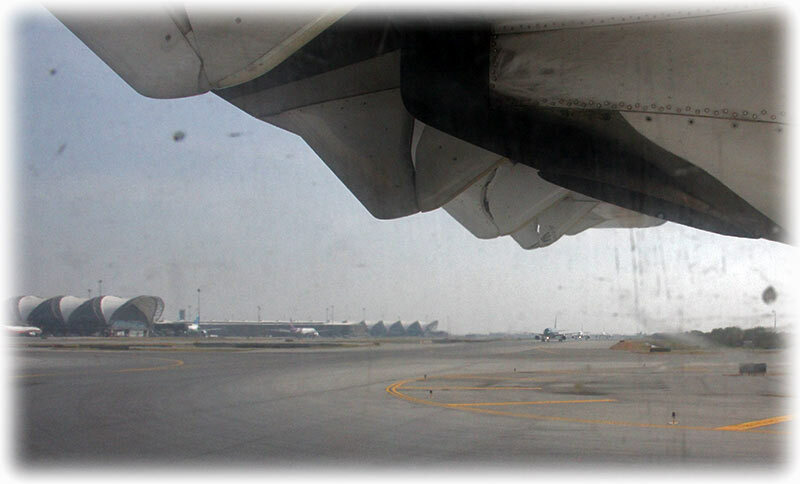 We started to descend and we were soon touching down and we taxi to the terminal. No sign of any buses and I guessed that we were going to walk to the terminal. 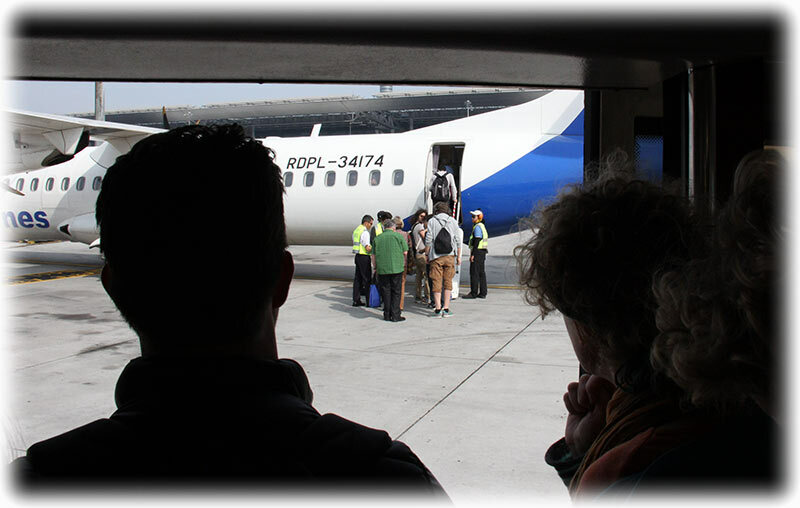 We had a Bangkok Airways flight leaving as soon as we had come to a full stop. 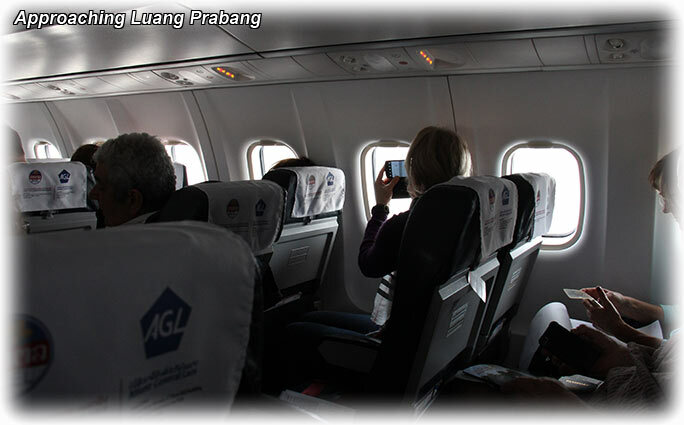 The Pilot told us that it was 21°C in Luang Prabang so I was looking forward to get out off the plane. 21°C is a perfect temperature and I'm also looking forward to walk around Luang Prabang this very afternoon. 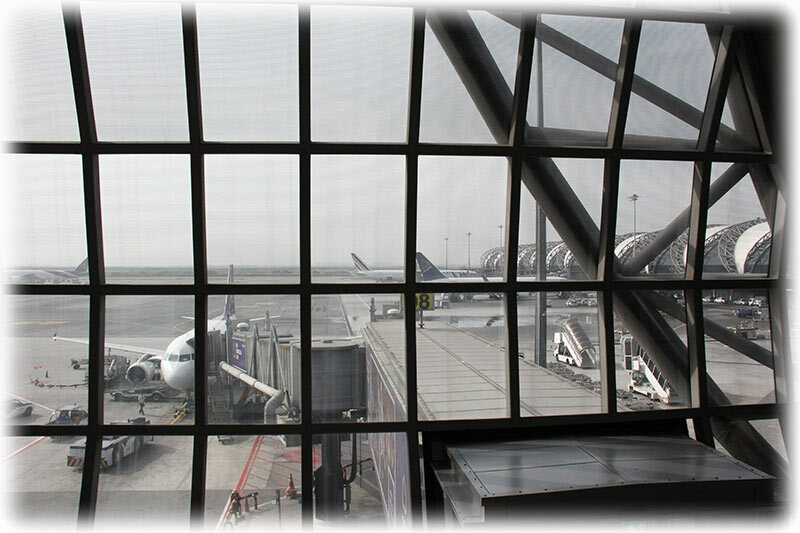 And it was actually very nice when I got out from the airplane and it was pure enjoyment to walk to the international arrival terminal. Of course, they wanted a visa application for and I had to go back a fill up a form. Exactly the same questions as on the arrival card. What a pointless exercise. And when I was back he asked for his pen and I had to go back again to pick up the darn pen. And I had to pay 32 US Dollars for the visa, still way better than to apply for visa to India. I was the last one through the immigration hanks to the mishap with the visa application form. Well, there was a family from Norway, the husband has less than 6 months before his passport expired so they ended up in trouble. But I hope they let them through. I passed custom (non-existent) and I asked for a taxi. I paid 7 US Dollars and they pointed me to a van. It looked like there was people in the van. - OK, wait for 5 or 10 minutes. 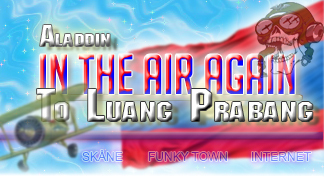 We were soon on our way towards “DOWN TOWN” Luang Prabang and you can read all about that adventure by clicking HERE So hold on to your hat and click!